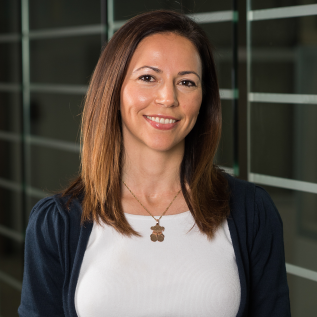 Mar Perez is a Principal for InCube Ventures and VentureHealth; investment funds focused on disruptive healthcare innovation based in San Jose, California. In her role, Mar wears multiple hats - from screening over 500 deals per year and managing due diligence to speaking in public forums and building relationships with Limited Partners. She also manages the Fund's online presence and contributes to organizational strategy. She is passionate about breakthroughs that can change medicine. She has spent her career in life sciences, mostly in governmental relations and sales with Johnson & Johnson. When Mar heard about InCube Ventures, she fell in love with the opportunity to help investors and entrepreneurs dramatically improve the lives of patients. Mar is a recent graduate of the Kauffman Fellows program, where she completed a two-year course focused on the next generation of leaders in venture capital. Before joining InCube Ventures, Mar earned an international MBA from a joint program of the ADM Business School and UC Riverside. Her earlier academic training focused on business management, at the Universidad San Pablo CEU. Born and raised in Spain, Mar lived in Australia and the United Kingdom before relocating to Silicon Valley, California - her current home. Copyright © 2019 InCube Ventures, LLC - All rights reserved.